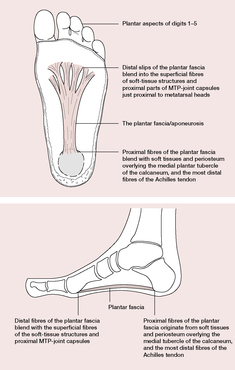 Figure 1: Plantar fascia. MTP, metatarsophalangeal. This article was published in Neale's Disorders of the Foot, Lorimer, French, O'Donnell, Burrow, Wall. Copyright Elsevier, (2006). Figure 2: Plantar fascia. MTP, metatarsophalangeal. This article was published in Neale's Disorders of the Foot, Lorimer, French, O'Donnell, Burrow, Wall. Copyright Elsevier, (2006). Shri Madhu Pandit Dasa, Chairman, The Akshaya Patra Foundation, expressed his happiness and remarked, "We are very happy to begin our programme in the celebrated devbhoomi of Uttarakhand and serve children. MEIR aims to bring together Users, SMEs, Tier1 Industry partners, DASA and Defence Innovation funding to develop a clear exploitation path to solve/assist solving complex maritime problems in the underwater environment through creativity and collaboration. Every person and every place affects our consciousness," said Pandit Dasa. Furthermore, can we find optimal regions in DASA parameter space by analyzing the patterns in the algorithm's behavior with respect to the problem characteristics? Chief guest Ananda Teerthachar, a member from the Tirumala Tirupathi Devasthanam Trust, honoured Bahadur and gave the portrait, an oil painting which shows Rajini in the avatar of Purandara Dasa. The intense competition R M Dasa faces in the construction industry constrained the ratings further. If a separate Mutt for Dasa Vokkaligas becomes a reality, it could impact the political prospects of Gowda and his family members as Dasa Vokkaligas form a dominant force in the key districts of South Karnataka -- Hassan, Tumkur, Chikmagalur, Ramanagara and Bangalore Rural. LBHFL Minor Cup final: DASA Aintree 1 Wood Street 3. Miss Catherine de Alwis went to Burma and was ordained as a Dasa sil mata, Buddhist nun. The Norwegian offshore contractor Stolt Offshore SA said on Thursday (3 June) that it had completed the sale of its automatic pipeline welding services business Serimer Dasa. A military technology development programme has been drawn up by six countries alongside an industrial co-operation programme involving the Italian Alenia group, Britain's BAe Systems, France's Dassault, Saab of Sweden, and EADS (created last July through the merger of France's Aerospatiale Matra, the German DASA group and Spain's CASA). The Dasa spokesperson also said that he also saw no further obstacles to turning Airbus Industrie into a company or to making a decision about proceeding with the A3XX project according to Reuters.